While my game was saving, my laptop got frozen, next time I tried to load my game it showed me this message: "The save game could not be loaded". I met the same situation around FM 09, and since that time I've always done a manual rolling save, saving alternatively to four files after every completed match. It's the only way to save yourself from the corruption pain. It killed my will for playing anymore. Thanks anyway. Do you have rolling saves turned on in your preferences? 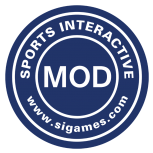 yes go to the game folder in the sports interactive folder and go on to the properties of the game file and click previous versions. No, if I had, there could be a backup? yep it has previous versions of the save from a day ago or two. did you already delete it? I don't have any previous versions of the save, there is nothing listed on that tab, it is just empty. Any power interruption during the saving process will corrupt that version of the save and it will be unrecoverable. Akways use one of the automatic saving options to ensure that you have at least one backup all the time. I think this has just happened to me. While I was saving the game, FM crashed. Now it says I can't load the saved game. Can someone explain what a rolling save is, and what is meant by a 'manual' save? Say that you set the save option to the rolling 3 game autosave, set weekly The game will create 3 backups in the first 3 weeks then on the 4th week the oldest save will drop off, so you always have 3 saves. Manual save is when you save the game from the FM drop down menu, rather than let the game do it automatically for youbut isnt to be recommended as it is easy to forget. I save to another copy 3 times a month. Now have hundreds copies of my games. Of course provided your HDD has enough space. I run a ten file rolling autosave that serves me pretty well. I think it's set to monthly at the moment, or possibly fortnightly. Saving does take quite a while on my now 100 season long save, so daily would be massive overkill. I occasionally get crashes, and the autosave feature has been a godsend - there's never been a time where I've lost too much. It's a far cry from the old days when CM would wait until the worst possible moment to destroy your save. I have the auto save at every day, 10 files. Can't load any of them. It's a pity because I had my best save in years with Celtic. I'm sure like many others i learned that the rolling auto-save is a must the hard way.